Group lessons aren’t for everyone. Whether your dog requires more individualized attention, or you want to train without the distraction of other dogs, private dog training lessons are for you. Master Dog Training offers fun and effective 1-hour classes that will help you and your family learn how to correctly work with your dog. 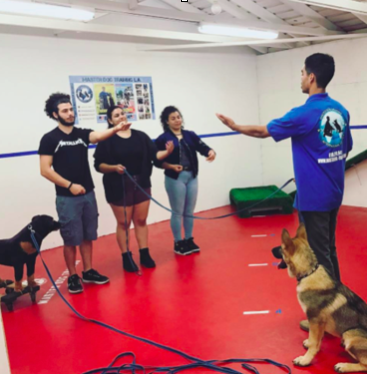 Before we begin any training program, our expert dog trainers will administer two tests to determine which method of training would be just right for your dog. While other trainers may believe in a one-size fits all approach to training, our tests will help guarantee the best results for you and your dog. Our one-acre property offers an indoor and outdoor agility course, a pool, and three large yard areas for dogs to run around in. You and your dog will be able to take full advantage of our doggy paradise during your one hour individual lesson. 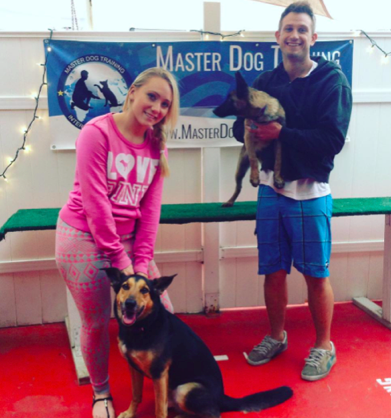 Private lessons at Master Dog Training provide a fun experience for your whole family, as everyone learns how to properly communicate with your furry friend using unique methods of training, and a variety of professional tools used by top dog trainers all around the world. We also offer puppy obedience training for puppies 2 months old and older!